I never smoked, never drank. Though, I ate like I had never eaten before! Let’s fast forward 16 years. My weight gain was up and down, but mostly up. I had tried my attempt at a well-known national diet plan, and with great success I might add, getting myself down to a slim/fit 142 lbs (64 kg). It was too easy, it melted off. When something is easy, we tend to take advantage of it. 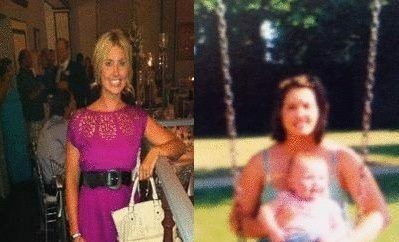 So, I did and I quickly gained back all most weight loss, plus some! After switching careers from a Special Events Coordinator to Real Estate Agent. I had ballooned up to 300 lbs (136 kg), was unable to walk great distances (having other agents show/walk vacant land for me, as I could not physically do it). Being well known in the community, often volunteering, attending events, helping friends, family and ran a schedule like a superstar, little did I know… I was killing myself in the process. I never focused on my personal health, so when clothing didn’t fit, I just kept buying bigger clothes (because they ‘fit’ and it made me feel better). I started low carb and am happy to announce that I am off all insulin (slow release/fast acting) and down 90 lbs (40 kg) with an additional 60 lbs to shed, all my numbers are wonderful and my family doctor is just amazed at the results, all in just 14 months ! Yes, I have continued weight to lose and I will get there, with hard work, time, dedication and of course… my LCHF lifestyle! I love it and will never look back. Thank you low carb for saving my life! With in the first week, it was very apparent what I had started was going to work miracles. Being diagnosed with Type 2 was the turning point, my goal was to rid myself of that awful death ridden diagnosis! The biggest challenge was learning to respect food and use it for what it was meant to be … to fuel the body, not to kill it! No way! You can give up on anything you want … but never life itself. You only live one, so make it the best damn life you can ever give yourself. You can’t turn back time, but you surly can make the rest of your life, the best of your life! I love using social media to reach out to others whom are medically struggling. The use of positive quotes, humor and the response from my followers keeps me going daily, as it does for them too … they think its me that helps them the most, but deep down, its them that keeps me going day in and day out. I have not as of yet, the scale may not move, but I am losing it in inches. 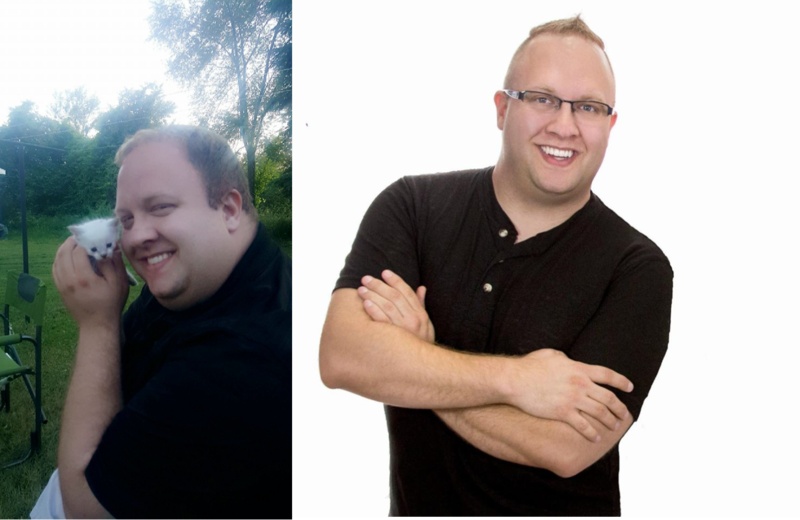 With in the first three months I was down 60 lbs! I knew the rest was going to come off a lot more slower. – Be able to take a walk / run without difficulties. – Loving life daily, waking up with a smile on my face. 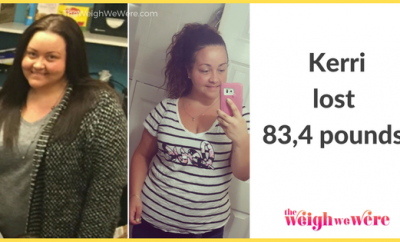 – Going from a 42 waist to a 32 waist. – Going from an XXL/XL to a Medium shirt. – Be able to bend over to tie my own shoes. Hitting the road at around 35,000 miles per year showing homes, traveling, concerts, etc … you’re right, I did eat multiple candy bars per day, numerous fast food choices, along with many morning, midday and nighttime snacks. Not to mention the regular usage of Coke … Coca Cola that is! It might as well be classified as drug, its addictive! If it was healthy, it wasn’t going into my body … greasier the better! I disliked even walking, as mentioned I used to have others show my properties that needed to be shown, I was just not physically able to walk large amount of land without having to stop to rest numerous times … all the while sweating like a waterfall. Life now is so much easier, I don’t “huff and puff” when I walk a mere 10 feet, I take the stairs whenever vs the elevator, park out at the end of the parking lot vs right up front, I sleep wonderful throughout the evening with no waking up or gasping for air … seriously, life is 125% better than it was before. Oh and all the sweating went away, I used to wear two-three layers to hide the sweat, I am proud to say I am always cold now (ha-ha) and I can go about my day wearing a single t-shirt without any sweating issues. If I was served something in a restaurant that I wouldn’t eat, I would simply request another diner (in my party) to eat it, or I would ruin it, or quickly have them remove it from the table. When your feet his the floor, drink a glass of water. You would be surprised what this little “trick” can do. It jump-starts your body for success! What a better way to start the day, with a glass of success! I post ‘fat photos’ of myself all the time! I didn’t want to hide who I was before, but to embrace whom I was, so I could make no mistake and end up in that unhealthy position again. Not worth it, at all!